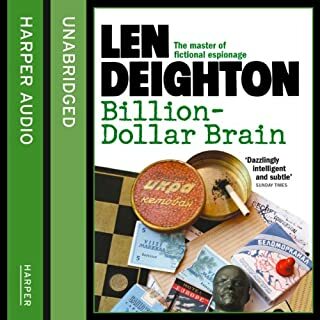 Len Deighton's classic first novel, whose protagonist is a nameless spy - later christened Harry Palmer and made famous worldwide in the iconic 1960s film starring Michael Caine. 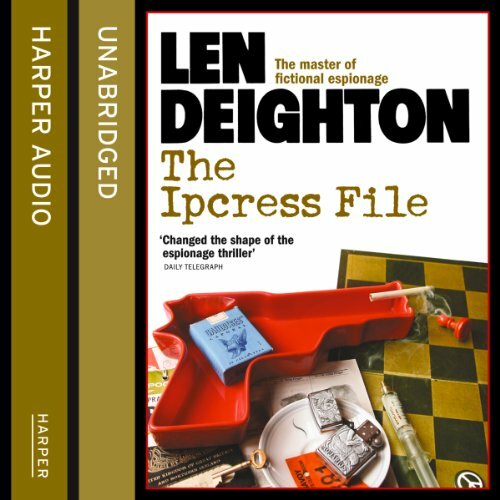 The Ipcress File was not only Len Deighton's first novel, it was his first best seller and the story that broke the mould of thriller writing. 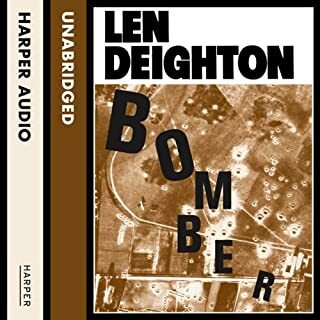 For the working class narrator, an apparently straightforward mission to find a missing biochemist becomes a journey to the heart of a dark and deadly conspiracy. The film of The Ipcress File gave Michael Caine one of his first and still most celebrated starring roles, while the novel itself has become a classic. I think I missed 50% of the plot because of the narrator's efforts to imitate Michael Caine's accent. great narrator. the story is a bit jumbled in parts and as an American some of the 60 British slang is hard to understand. But the story is excellent. 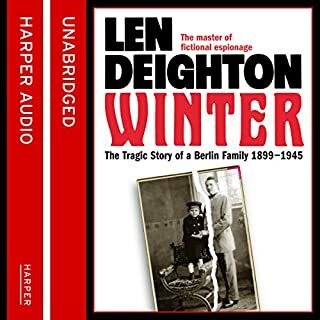 This is not a book for listening to when you're going to sleep as you have to pay attention to the detail of this complex plot, but it is a rewarding listen. There is far more to this story than was included in the film. For anyone who remembers the 60's it takes you back to the atmosphere of the time, both in terms of lifestyle and the ever present cold war paranoia. 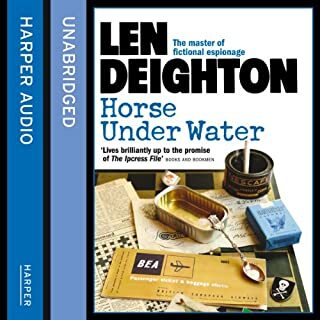 It is very well read by James Lailey who, I'm pleased to say, doesn't attempt to imitate Michael Caine, but does give the hero the right working class voice - essential in a story which is as much about the overturning of the upper class establishment as it is about the world of spies and spying. What did you like most about The Ipcress File? What other book might you compare The Ipcress File to, and why? 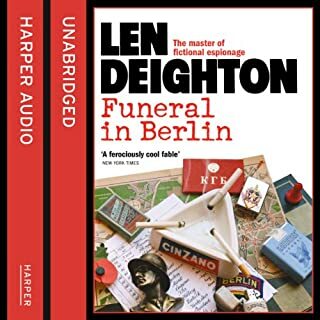 Similar to the best of John le Carre. Same subtlety, good writing and non-heroic hero. His reading did make me smile with its hint of Michael Caine who played the main character in the film. It's not really that kind of book. I've read this book before and seen the film and I never tire of it. I shall give it a few years and listen again. Would you listen to The Ipcress File again? Why? I really love the way conversation is written. And the very vivid 1960's London. I really loved any time the narrator (Harry Palmer!) talks to Ross. It's not an emotional book, but draws you in. Wonderful Cold War book, full of little comments and styles of the day. It has a lovely clash with the public school old guard and the cheeky smart working class Harry. Also, the narrator on this book does a fantastic job, it's Michael Caine enough, but not a copy. Plus the other characters are wonderfully read. Really enjoyable spy drama. Good story but difficult to follow and very convoluted. Great narration though and the book is quite engaging. 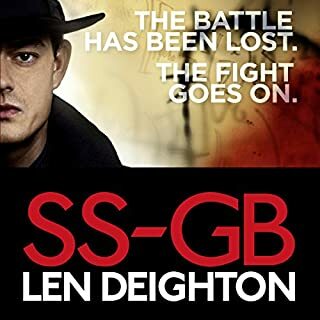 Deightons SSGB is a better read. Unimpressed! The download failed to download correctly just as it did with Bomber. U will not be purchasing anymore books from this supplier ! I do not recommend at all totally ruined my pleasure! PANTS!!! !